How do you guys do this? Any tips? included as a last resort to level the unit. The engine should be level to 1 deg. Sloping forward. Gear linkages/driveshafts / ancillaries and wiring can now be fitted. " As of now i have only fitted the engine and made sure that there is clearance everywhere, have not squared or leveled it at all. How do i measure if it is squared? Best thing to do is fit it and ask about what concerns you? Last edited by ardonfast; 24-01-2018 at 12:34 PM. What to use as reference points for measuring? Maybe its not that big of a deal if its a bit misaligned? I'd think the drive shafts being square would be the important part of squaring the engine. Last edited by ardonfast; 24-01-2018 at 01:48 PM. I took a reference point on the front panel and measured back to the cam cover. If the engine is square to the body, the driveshafts should be too. If you have removable front could use similar idea and measure forward from crossmember? yes, the driveshafts are of course the vital point. I have bought a complete frame with mounts. 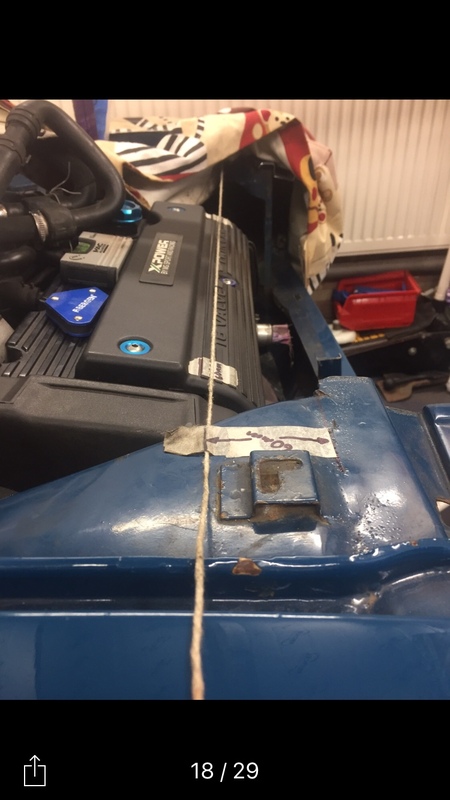 That string method was a good idea, will measure to a set ref point on the subframe and see how much of it is.